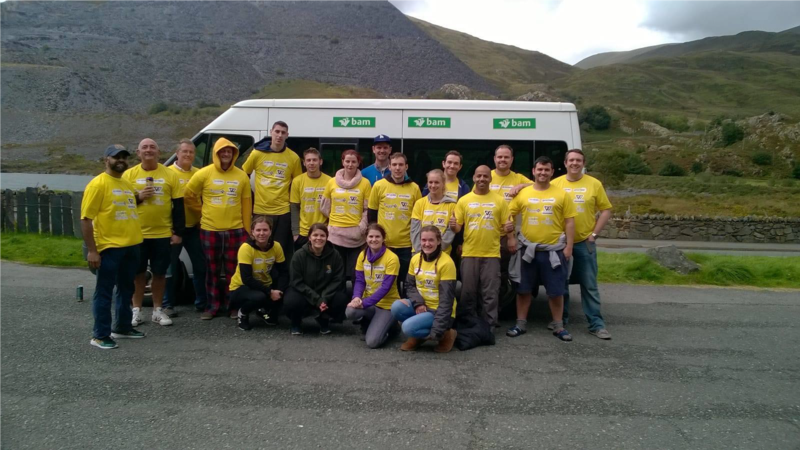 DOC Cleaning have recently supported Savills Manchester on their National Three Peaks challenge which raised over £18,000. Challenge completed in 23 hours 50 minutes! Earlier this month, a group of 15 people from Savills Manchester completed the National Three Peaks Challenge for charity in under the 24 hour target. The team, made up from divisions including development, planning, retail and management have raised over £18,000 to date for the Royal Manchester Children’s Hospital charity and Mountain Rescue England and Wales. The challenge involves climbing Ben Nevis, Scafell Pike and Snowdon in less than 24 hours, including all the travel between which equates to a total walking distance of 23 miles (circa 13 hours) and 462 miles of driving (circa 11 hours). This was a tall ask when the minibuses were limited to 62mph, but the team made it with 10 minutes to spare. The group was made up of Ned Brooks, Brad Wiseman, Berit Rose, Sophie Mather, Olivia Pemberton, Lyndsey Berry, Carla Seddon, Pritesh Patel, Ali Imran, Andrew Ellis-Lomas, Chris Stringer, Luke Sheldon, Ryan Fellowes, Nicola Dragun and Matt Thompson from the international real estate advisor. Ned Brooks from the development team at Savills Manchester, comments on the challenge: “The team began the challenge in high spirits at 3pm, relishing in the uncharacteristically good weather. A short five hour jaunt later and all 15 made it down the mountain unscathed, but some with serious question marks over why they volunteered. Happily, the driving crew had laid on some bacon sandwiches, tea and coffee which went a small way to easing the pain and with that we began the winding drive to Scafell Pike. “The not-so-scenic climb of Scafell began at 2am the next morning and another steep reality check. Whilst it was dry, the winds kept us on our toes and meant we couldn’t spend a lot of time at the summit. As the sun began to rise the next morning, we wearily careened our way to Pen Y Pass to begin our final mountain. The adrenaline had long gone by this point and it was a team effort to push ourselves to the top, before heading back to the finish line”. Brad Wiseman of the Savills Manchester planning team, who organised the event, concludes: “Statistically, only 30% of large groups complete the challenge in under 24 hours and we are very proud to say that we are amongst that 30%. It’s safe to say that the experience was a true challenge, but as we continue to edge closer to our £20,000 target, the pain becomes more and more of a distant memory. A huge well done from DOC Cleaning to all of those involved.